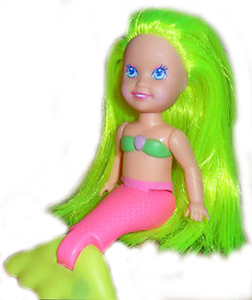 "A lovely little mermaid you can play with in or out of water!" 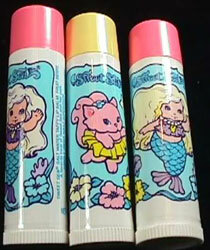 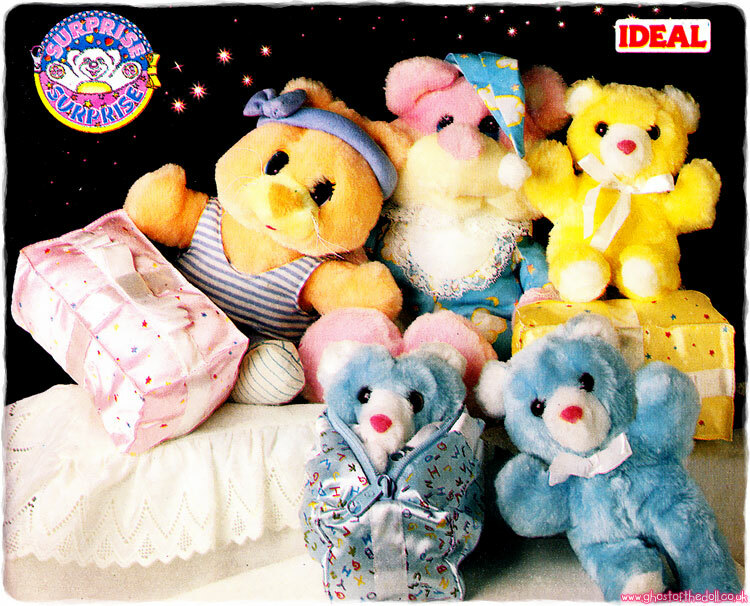 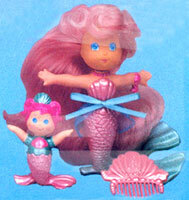 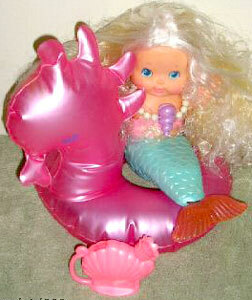 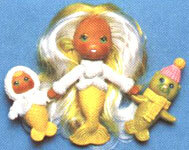 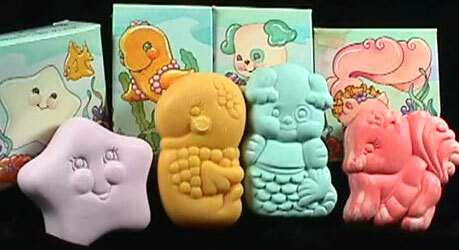 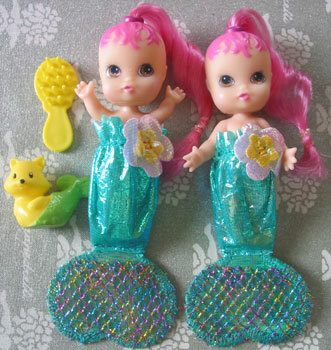 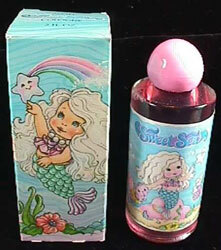 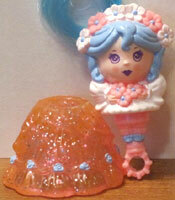 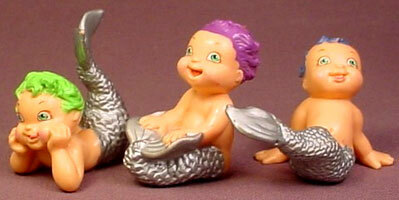 Sweet Sea was produced by Tomy in 1985. 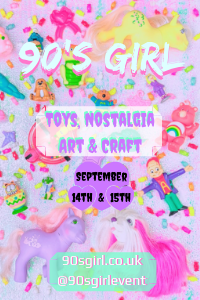 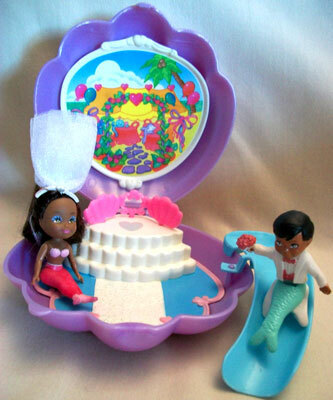 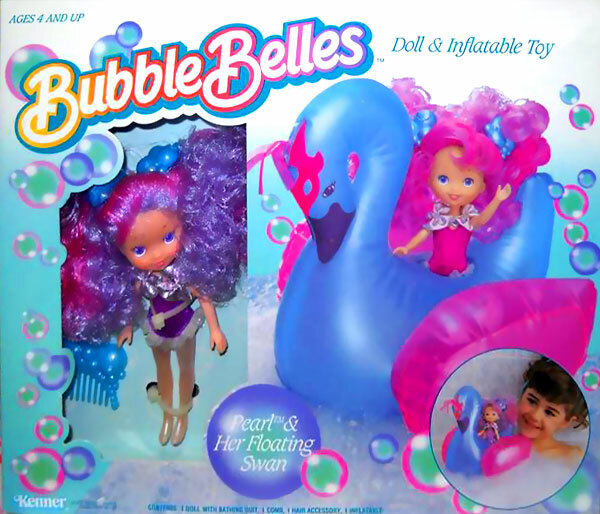 It was a very short lived sea themed series which included one doll, four friends, fashion, cosmetic accessories by Avon, jewellery and a 30-min animated video. 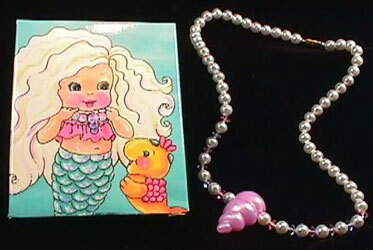 Images on this page thanks to kittygirl07 and various eBay sellers, including The Retro Vintage Store ! 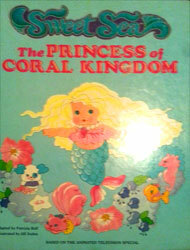 View all Sweet Sea on eBay.com or eBay.co.uk ! 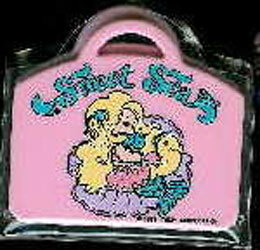 There were a few cosmetic items produced by Avon, plus an animated video and a book.